Congressional watchdogs were called in to evaluate the U.S. Food and Drug Administration’s approval and reporting process involving power morcellators. The Government Accountability Office (GOA) found the FDA failed to adequately protect the public. After media reports emerged about medical devices called power morcellators and their suspected link to uterine cancer, Congressional leaders called in their watchdogs to investigate. The Government Accountability Office (GAO) confirmed what many patients, lawyers and medical experts already knew. The U.S. Food and Drug Administration (FDA) lacks complete efficiency and, in the case of power morcellators, failed to adequately protect the public. The devices are used in surgical treatments to morcellate, or chop up and eradicate, benign fibroid tumors. But power morcellators can also disperse previously hidden cancer cells, promoting growth. Two Pennsylvania politicians, Congressman Mike Fitzpatrick and U.S. Senator Bob Casey Jr., called for an investigation after learning about Dr. Amy Reed’s fatal experience with cancer and power morcellators. Other women stepped forward after hearing about the Boston-area woman’s death from a smooth-muscle cancer called leiomyosarcoma. Reed’s husband, Hooman Noorchashm, said the GAO report brought no surprises for him. “We knew what the answer was going to be,” Noorchashm told Drugwatch. The report said power morcellators are causing harm at a certain rate because there are no federal mandates in place to require self-reporting of adverse events by those in the best position to do so — the doctors and hospitals. At the time, the FDA believed the chances that a woman undergoing fibroid (uterine tumor) removal would also have an unsuspected, difficult-to-diagnose uterine sarcoma ranged from about 1 in 1,000 to 1 in 10,000 women. Those numbers have since shifted to estimates closer to 1 in 350 women for one type of cancer after an evaluation of reports beginning in December 2013. FDA officials acknowledged to investigators that news articles about the risk of spreading tissue (noncancerous and cancerous) with power morcellators were published before the agency received the first adverse event reports. Thirty articles over a 32-year period were published and discussed the risks from power morcellators, according to the Government Accountability Office. GAO identified 30 such articles published between 1980 and 2012 that mentioned or concluded a risk with the use of a power morcellator, or that advised the need of a physician to remove all tissue fragments following a surgical procedure involving the morcellation of uterine fibroids. However, GAO also found that most of the articles involved cases studies and were limited in scope, with one case study published in 2010 looking at just a single patient. While no one article identified by the GAO provided an exact risk estimate, one study published in 2012 examined 1,091 instances of uterine morcellation, discovering that the rate of unsuspected cancer (uterine sarcoma) was actually nine times higher than the rate quoted to patients at the time (1 in 10,000). The study concluded that “uterine morcellation carries a risk of spreading unsuspected cancer.” Still, the FDA did not take any action until it received the first adverse event reports in December 2013. In its report, the GAO found that the FDA cleared 25 submissions for laparoscopic power morcellators for the U.S. market between 1991 and 2014. The FDA cleared these devices through its premarket notification process governed by Section 510(k) of the Federal Food, Drug and Cosmetic Act. Under this rule, the FDA reviews information submitted by a device manufacturer and determines whether the device is substantially equivalent to another already legally marketed device, called predicate devices. Section 510(k) allows any device that is substantially equivalent to another already legally marketed device to be approved for market. Essentially, any device determined to be substantially equivalent is cleared to be marketed, as long as it does not raise different questions of safety and effectiveness. GAO found that the FDA determined all 25 of the 510(k) submissions for power morcellators to have the same intended use as their predicates, and while six had new technological characteristics, these differences did not alter the intended effect of the device. In clearing the first of the 25 power morcellators, the FDA relied upon a predicate device known as an arthroscopic surgical system, an electromechanical system for cutting tissue during minimally invasive surgeries performed on joints, GAO found. In approving the other 24 power morcellators, the most recent being cleared in May 2014, the FDA determined that each one was equivalent to at least one power morcellator previously cleared before it. When a new medical device hits the market, manufacturers and importers must comply with certain medical-device reporting requirements. According to the GAO report, under these requirements, “these parties must report device-related adverse events, including events that reasonably suggest a device has or may have caused or contributed to a death or serious injury,” within an appropriate timeframe. Consumers and other parties may voluntarily report adverse events directly to the FDA. The agency maintains databases that record both mandatory and voluntary reports of device-related adverse events. Incomplete or erroneous reporting – where key data are not reported or where the information is inaccurate. Untimely reports – where the report does not always reflect “real time” reporting, as some events occurred years prior. Underreporting – where some adverse events are not reported at all. Prior to that notification, these health care professionals acknowledged that they were under the assumption that an adverse event from a device only related to a failure of the device itself. And, in the circumstance surrounding power morcellators, the first adverse event report was not received until 2013, from Reed, the Boston-area doctor. Once that case was “widely covered by the news media,” according to The New York Times, more reports began coming in, amounting to a total of 285 reports by September 2016. 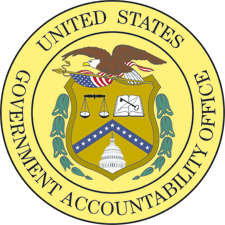 According to the GAO, with “virtually the entire federal government subject to its review,” the agency issues a steady stream of reports and testimony before Congress, usually contributing over 900 separate products each year. The agency operates under “strict professional standards of review,” with all numbers and statements of fact presented in its work subject to thorough checks and references. Many of the women diagnosed with aggressive uterine cancer after undergoing procedures involving a power morcellator died within one year. The agency also contacted officials from 10 professional societies and other organizations that have a potential interest in the use of power morcellators, and three health care providers that performed certain gynecological procedures that could involve the use of the devices. The agency also contacted all 12 manufacturers making and distributing power morcellators previously cleared by the FDA for the U.S. market. While this took a year, many of the women injured by the controversial device were not afforded the same period in which to save their lives. Many of the women diagnosed with aggressive uterine cancers after undergoing procedures involving a power morcellator died within one year of receiving the news. This reality actually necessitated an order to speed up the discovery process and scheduling of depositions (oral testimony) in a multidistrict litigation (MDL) suit against the manufacturers of the devices. In its 2017 report, the GAO pointed out that many questions still remain regarding the use of power morcellators in the treatment of uterine fibroids, including varying stakeholder opinions regarding the risks related to the use of the device. One concern noted by FDA officials was that there is limited information available to assess how the risk of spreading cancerous tissue is affected when morcellation is performed using manual morcellation techniques, such as a scalpel versus power morcellation. Professional societies are also questioning the FDA’s methodology in concluding its estimate of cancer risk in women undergoing surgical treatment of uterine fibroids. These societies pointed out limitations with the FDA’s assessment, including concerns regarding “keywords” used by FDA officials to find the studies included in its estimate.  The estimated risk of Power Morcellators are in the range of about 1 in 1,500 to 1 in 2,000. One professional society stated in an open letter to the FDA that a more appropriate estimated risk would be in the range of about 1 in 1,500 to 1 in 2,000; although, FDA officials noted that their conclusions are confirmed by “more recently representative published studies,” that are generally consistent with the agency’s estimate. However, two professional societies contacted by the GAO still assert continuing questions as to the long-term effects to patients of the FDA’s guidance deterring the use of power morcellation in laparoscopic surgeries. The societies argued that this may lead to an increased use of abdominal hysterectomies, which is associated with other risks to women including larger incisions, slower recovery time, and higher mortality rates and complications compared to laparoscopic hysterectomies. While Crosse pointed out a way in which the FDA could “take a more active role” by reviewing hospital records in order to discover adverse events that are going unreported and search for additional “warning signs,” she also acknowledged that there’s a cost involved in putting such data systems in place, and that it’s not cheap.